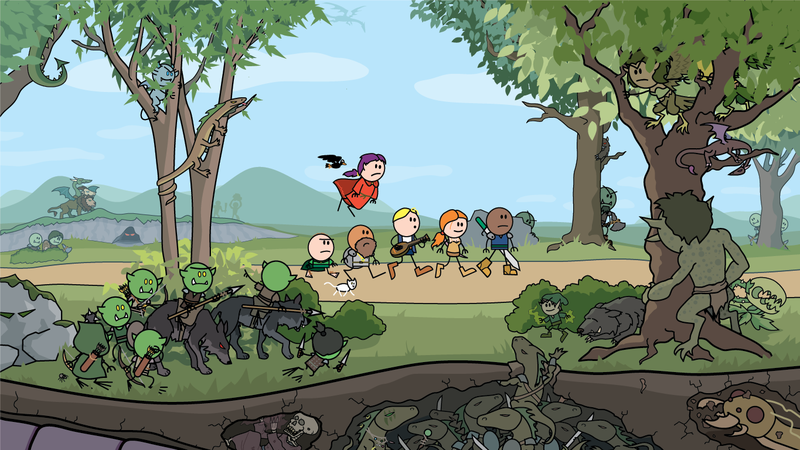 Discover the quasi-secret histories of Roy, Elan, Haley, Durkon, Vaarsuvius, and that other guy in this flashback spectacular that shows how the members of everyone's favorite band of stick figure adventures, the Order of the Stick, first met. This Digital Edition PDF is the first time this material has been presented in non-paper format ever, and features revised lettering, bookmarks, and vector-scalable art that looks the same at any magnification. So that's all pretty cool, right? You'll get one PDF file.